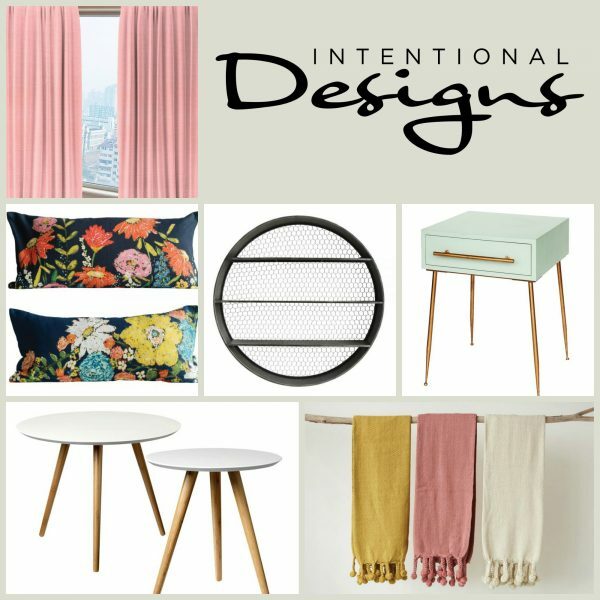 You are here: Home / Decorating tips, trends & fun / Just for the fun of it / 6 Sensational Barn Doors! So are barn doors still trending? Well, the verdict is out on this one. Some say yes and some say no. However, with these 6 sensational barn doors, you can decide for yourself! Just for the fun of it … take a look back at some barn doors we’ve showcased over the years! Beginning with HGTV Smart Home 2014 we saw a barn door being used in the dining room. Notice how the new doors are freshly painted the same color as the wall color? 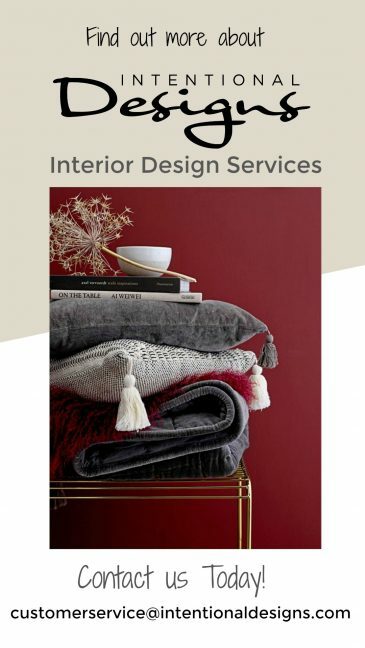 That cohesiveness is really important especially in a room that isn’t too large coupled with a dramatic red paint color. Then this authentic looking barn door looks right at home in a Farmhouse Chic Dining Room. 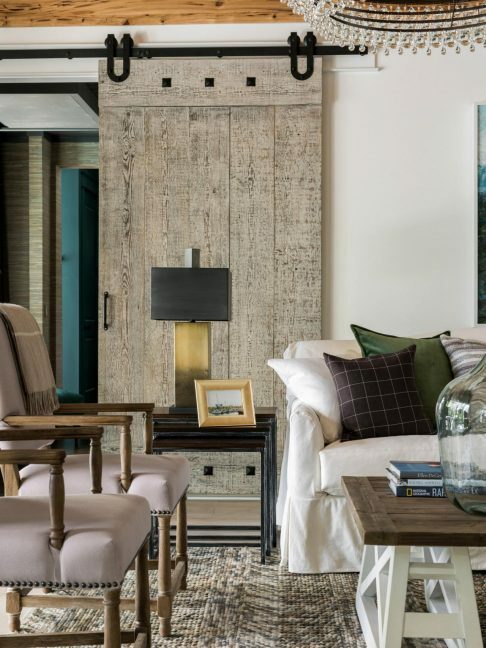 Reclaimed wood designed barn doors coupled with shiplap complete the interior design of this living space. Selecting the correct hardware is as important as the door style & finish. As you can see, the black hardware on this door furthers the living room design. 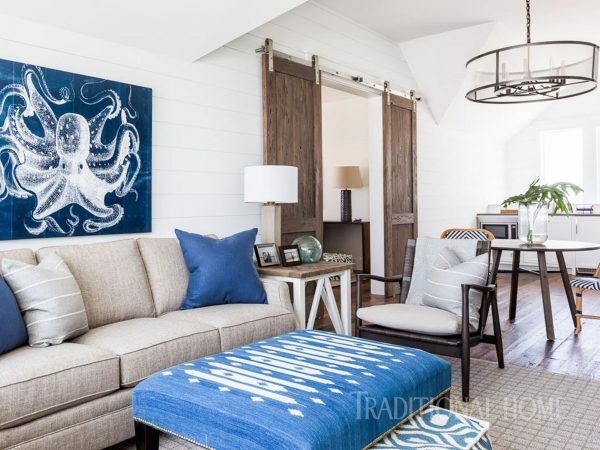 My takeaway ~ Actually, barn doors have always been around and utilized as a design element. 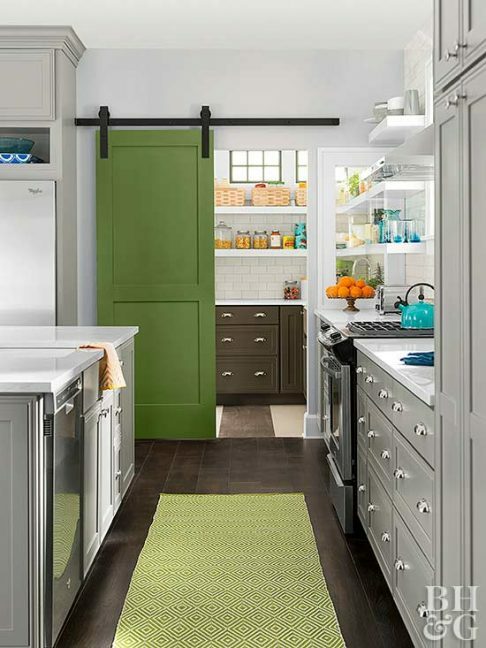 Then these unique doors began to trend in every creative way possible from chalkboard finishes to cabinet doors. So now barn doors have moved past trending and returned back to their original place as a decorating staple. 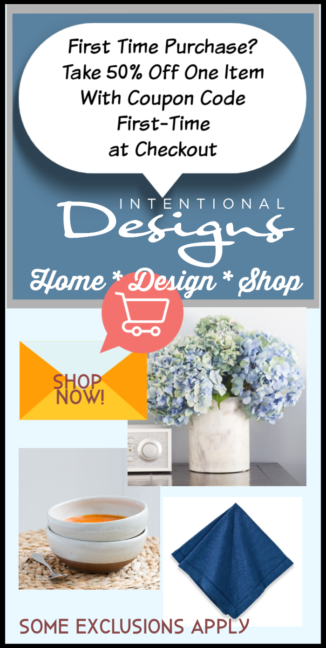 And see what’s new this week @ IntentionalDesigns.com Home Decorating Shopping Site!